Robust and practical switchboard solutions for a wide range of HVAC applications. 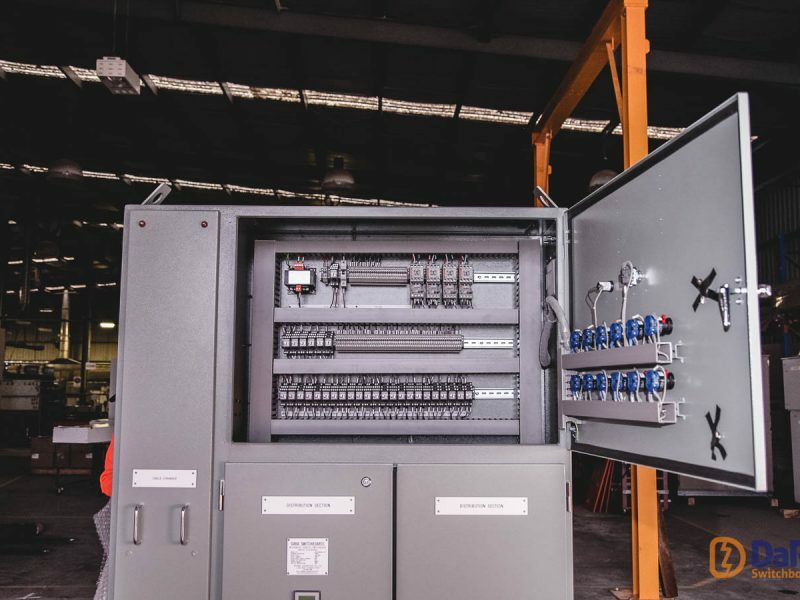 Mechanical Services Switchboards manufactured at Dara Switchboards provide a practical solution that are easily configurable and very robust in construction. These panel boards offer a wide range of functionality that allows electrical installations such as air conditioning systems and other mechanical peripherals to be controlled. Panel boards can also come with pilot light indicators and auto-off-manual control switches so as to allow for easy control of circuits such as fire alarm units. Enclosures of MSSB’s are manufactured from high quality materials and come in various sizes to meet customer requirements offering optimal usage of space with the option to add more electrical installations allowing the flexibility to accommodate increase in capacity. Designed and manufactured with Relay logic, VSDs, soft starters and maximum controllers, our mechanical services switchboards (MSSB) offer a robust and practical switchboard solution, and are very easy to configure for a wide range of installations. This robust and configurable system is suitable for low voltage ≤630A distribution switchboards, particularly in light industrial and commercial applications. 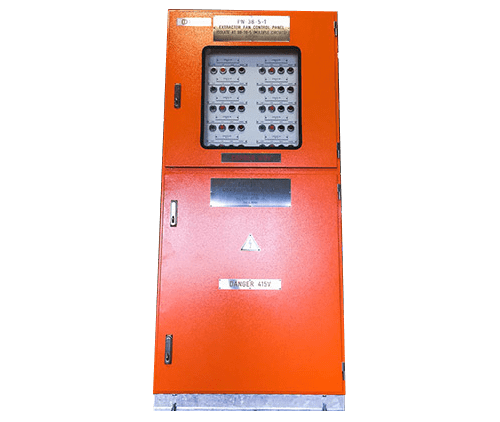 The DaRa mechanical switchboard enclosures (both DSC and DSS) are manufactured from high quality materials, come in various sizes to meet your specific requirements, while offering optimal usage of space. They also come with the option to add further electrical installations to give you extra flexibility and accommodate an increase in capacity if necessary. Our enclosures comply with AS3439.3 (DSC) and AS3439.1 and 3 (DSS), and can be either wall mounted, or floor mounted using a channel plinth. Optional extras include a rainhood for added weather protection and lockable handles. Offering a wide range of functionality, the DaRa mechanical switchboard allows easy control of certain electrical installations, such as air conditioning, hand dryers and other mechanical peripherals. They have the option to be fitted with visible pilot light indicators and auto-off manual control switches, will allow for easy control of circuits, such as fire alarm units, and a programmable controller with manual override facility if required. They’re the ideal solution for water heating and cooling systems, smoke and toilet exhaust fans, suction pumps, compressors, apartment air conditioning, ventilation systems in car parks and store rooms, residential kitchen and bathroom exhaust fans, and factory and domestic fire alarm systems. If you’d like to order a DaRa MSSB, contact our sales and engineering team for pricing, and we’ll put together a quote for you, depending on your requirements. Once you’ve confirmed your order, we’ll generate the approval and construction drawings which will be sent to you within 48 – 72 hours upon receipt of all site and installation specific requirements. 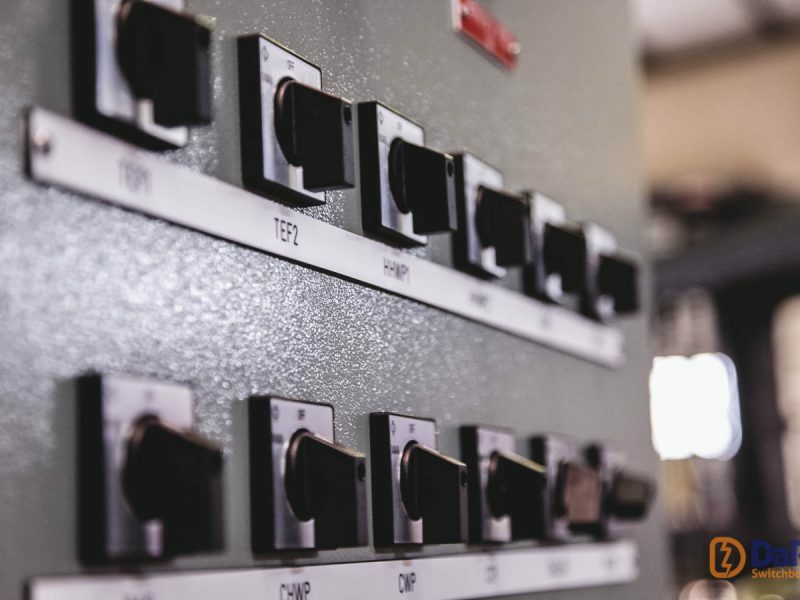 When you’re completely happy with the design and specifications, we’ll assemble your switchboard and fit the required electrical equipment, including switches, controls and the optional extras. Only after final testing and QA, will we deliver your MSSB to your site. Designed and manufactured with Relay logic, VSD’s, Soft starters, Maximum Controllers etc. DSS (IP56) upgradable to IP66 with rainhood. Accessories used on the DSC and DSS boards are available including rain hoods, lockable handles etc. Switchboards to incorporate a visible fixed panel fitted with manual/auto/off selection switches with pilot lights. Programmable controller with manual override facility,where required. Full range of mechanical services switchboards from small control panels to large mechanical distribution boards, custom, modular or pre-fabricated.This robust and configurable system offering is for low-voltage ≤630A distribution switchboards suitable for commercial and light industrial applications.